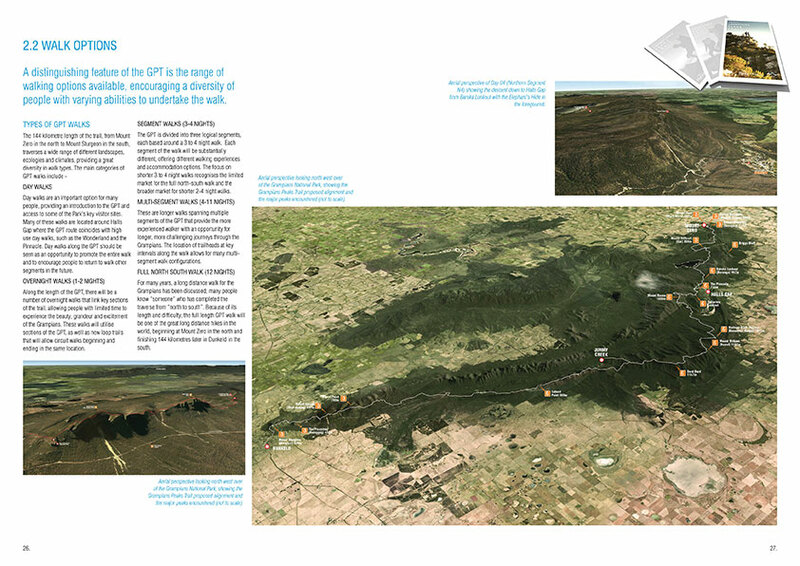 Located approximately 240 kilometres (3 hours drive) to the north west of Melbourne, the Grampians National Park (Gariwerd) is the fourth largest national park in Victoria (167,219 ha). 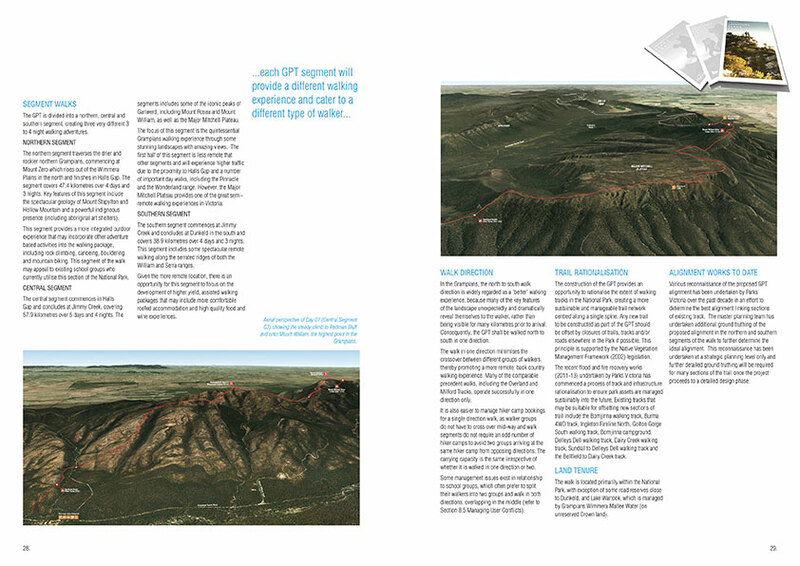 It protects a diverse range of ecosystems, outstanding geological formations, spectacular landscapes and a rich indigenous and post settlement cultural heritage. 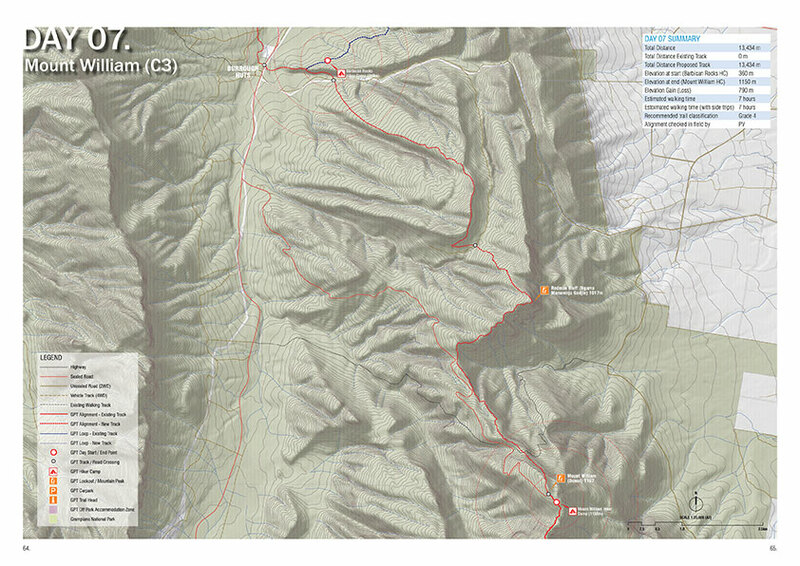 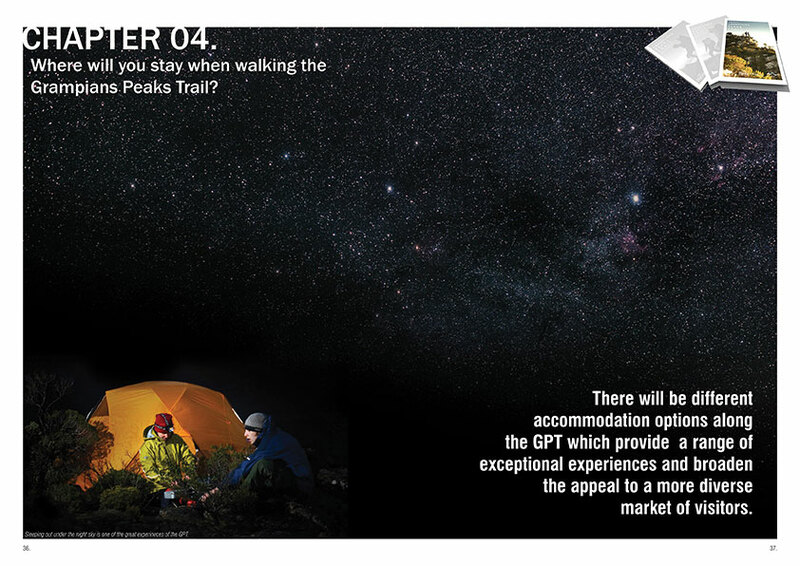 The Grampians Peaks Trail will be a world-class, long distance walking experience, showcasing the beauty and majesty of Gariwerd’s natural and cultural landscapes. 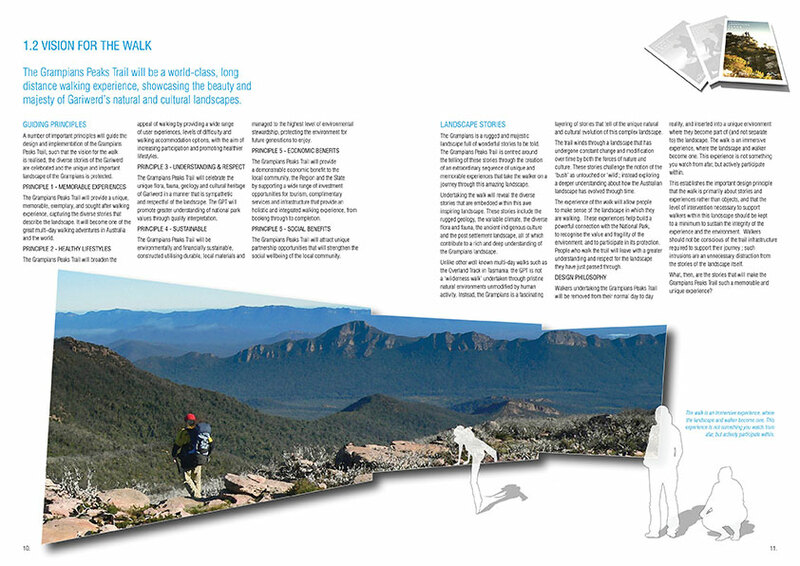 Visitors undertaking the 144 kilometre, multi-day walk will experience one of the great icon walks of Australia, representing a “must do” walking experience. 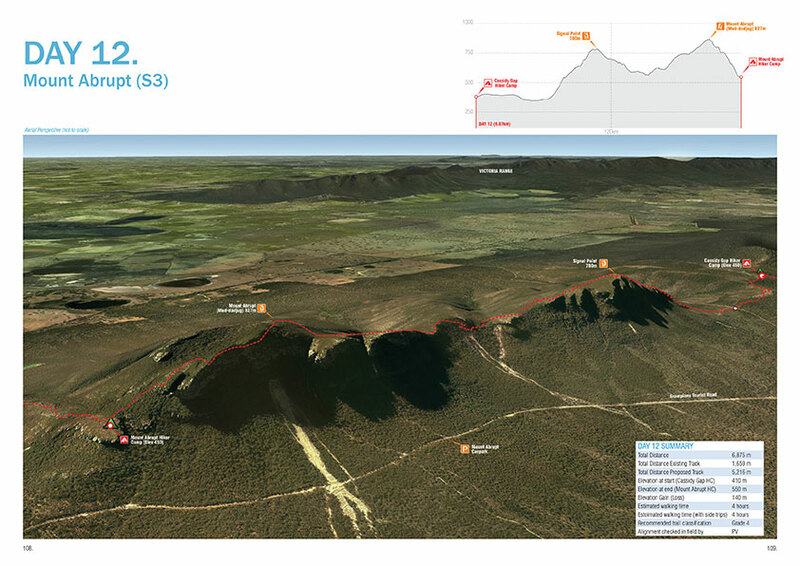 The route connects some of Gariwerd’s most spectacular peaks, from the massive sandstone outcrops in the north, to the rugged and remote Mount William range and includes the awe inspiring peaks overlooking Dunkeld and the surrounding volcanic plains to the south. 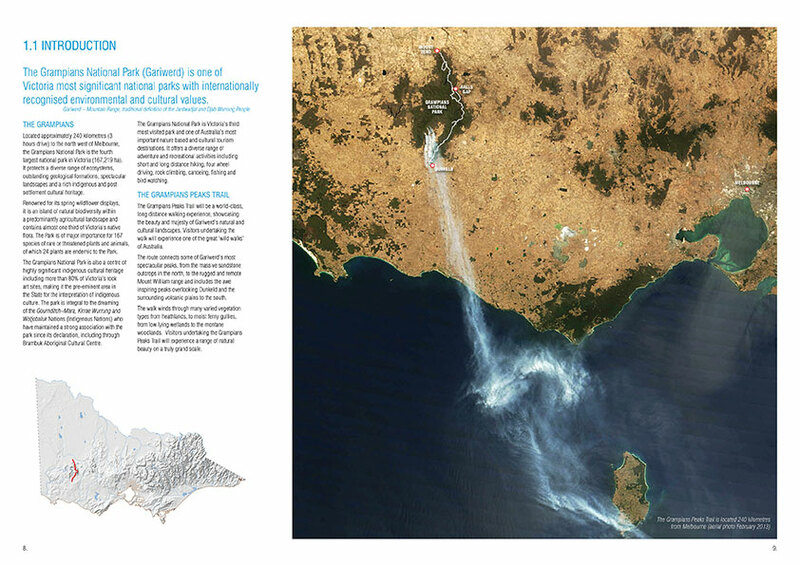 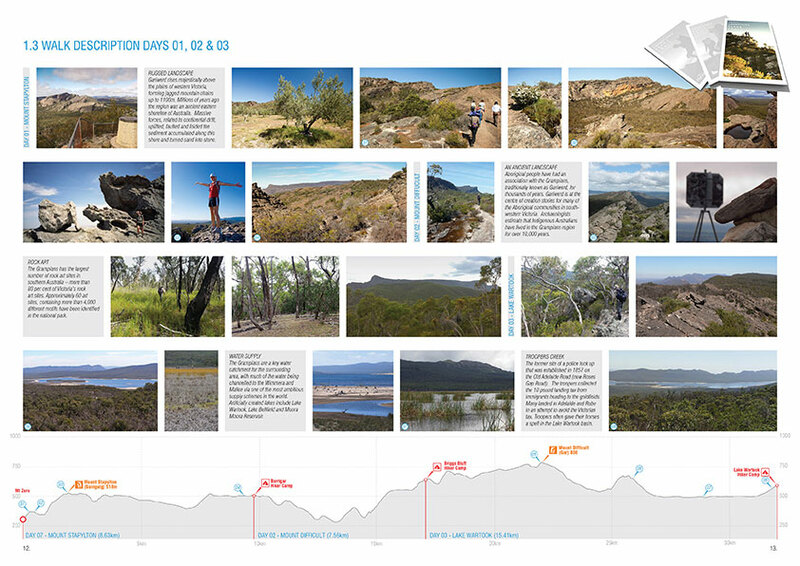 The walk winds through many varied vegetation types from heathlands, to moist ferny gullies, from low lying wetlands to the montane woodlands. 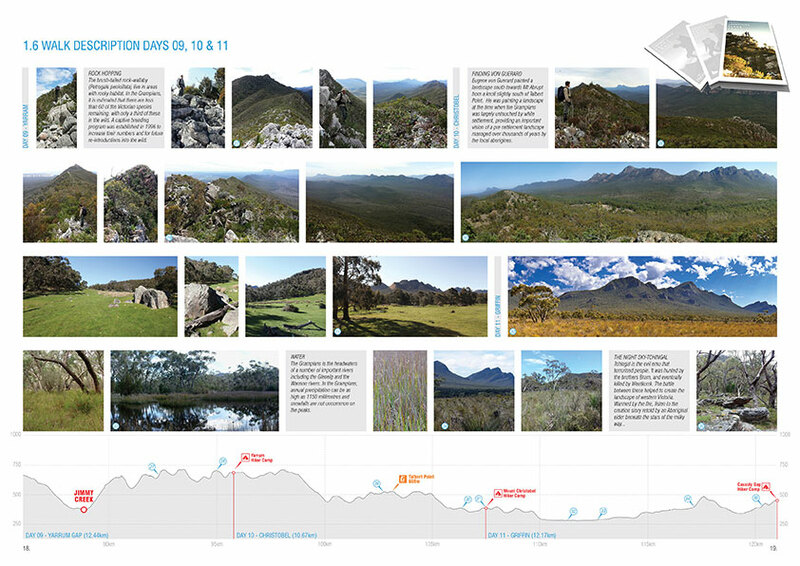 The Grampians is a rugged and majestic landscape full of wonderful stories to be told, including the rugged geology, the variable climate, the diverse flora and fauna, the ancient indigenous culture and the post settlement landscape, all of which contribute to a rich and deep understanding of the Grampians landscape. 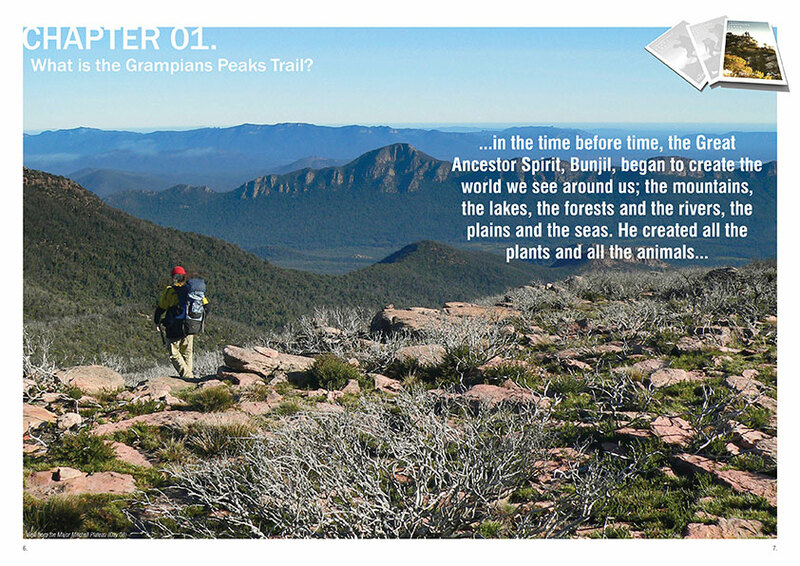 The Grampians Peaks Trail is centred around the telling of these stories through the creation of an extraordinary sequence of unique and memorable experiences that take the walker on a journey through this awe inspiring landscape. 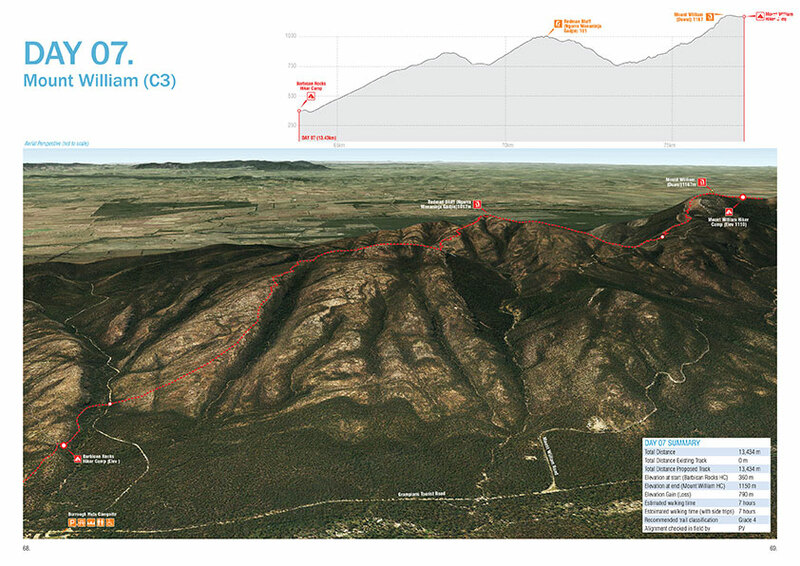 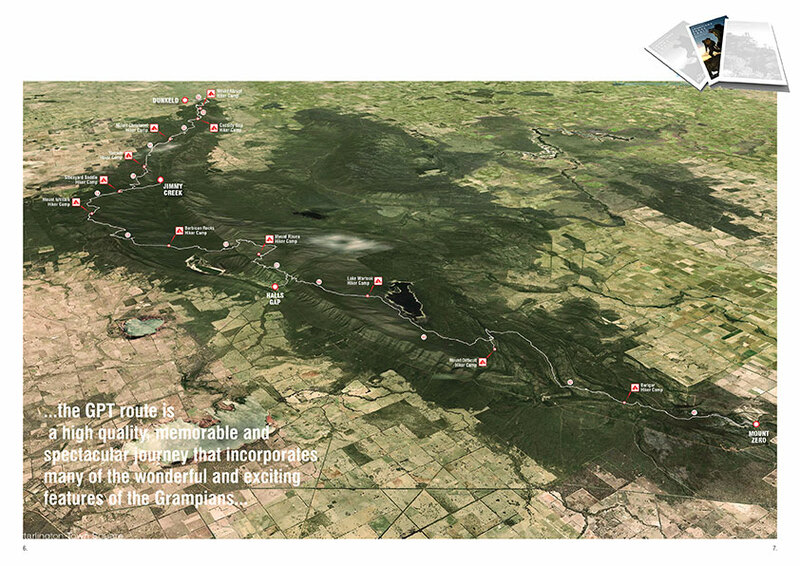 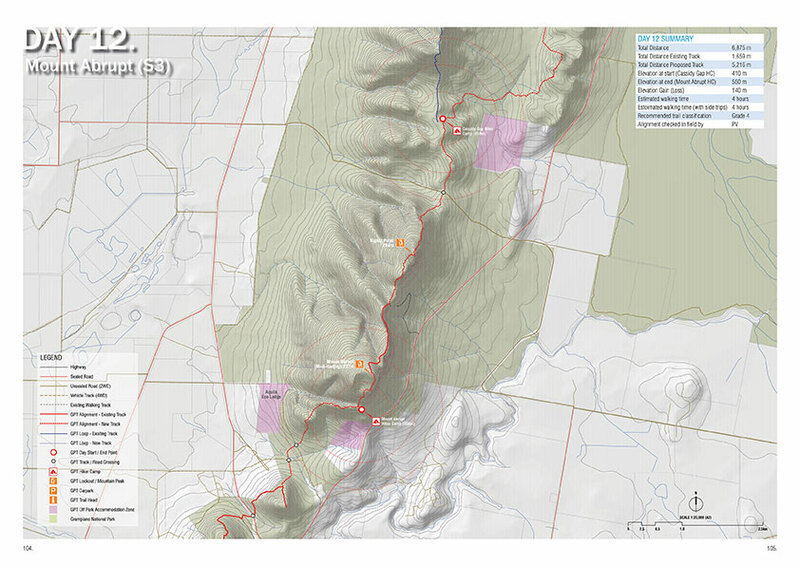 Visitors undertaking the Grampians Peaks Trail will experience a range of natural beauty on a truly grand scale.